You might have heard of Kopi Luwak– the coffee that is blended from defecated coffee beans by Asian civet cat, or the current trend of enriching food flavor by adding placenta in it. If these sound disgusting to you, then you might have a hard time warming up to the idea of cockroach milk. Cockroach milk might be the craziest thing you’ll hear this year, but it does not make it anything less than possible. It turns out the Pacific Beetle Cockroaches feed their babies with a formula that’s rich in sugar, fat, and protein. This formula then forms into protein crystals in the stomach of baby cockroaches. While it’s called cockroach milk, it not exactly similar to the kind of milk we’re used to drinking. The liquid that is harvested from the cockroaches can actually be considered a complete food; it has the essential amino acids, lipids, protein, and sugar. Hence, it has 3x the energy given by buffalo milk and 4x the energy given by cow’s milk. How in the world do you get milk from a cockroach? The process is complicated, and it mainly involves extracting crystals from the gut of cockroach embryos. Scientists are still studying about how to make the process faster so that they can mass produce the milk. 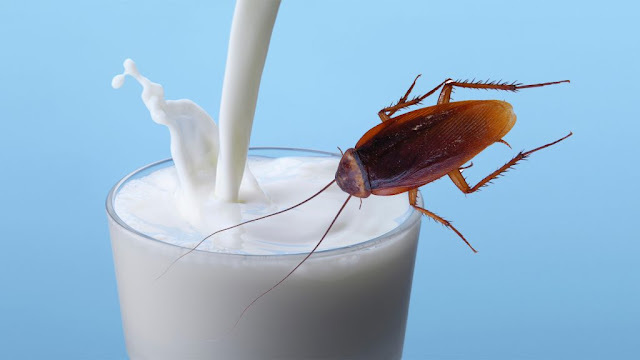 So is cockroach milk disgusting? Definitely, yes. Is it healthy? Even more so. While they still have not found a way to mass produce it, you might want to take this time as an opportunity to fully prepare yourself for its release in the market.